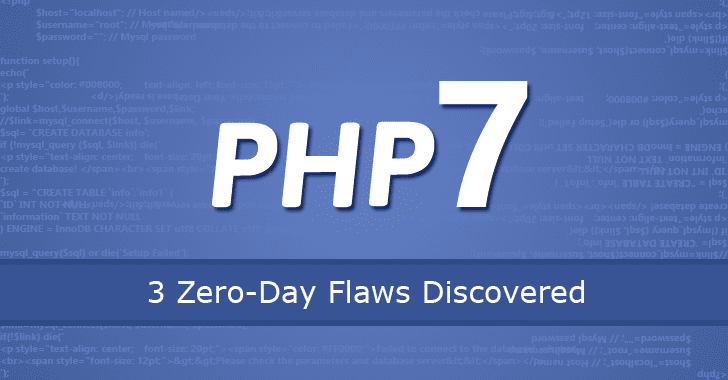 Security researchers at Check Point's exploit research team spent several months examining the unserialized mechanism in PHP 7 and discovered "three fresh and previously unknown vulnerabilities" in the mechanism. Tracked as CVE-2016-7479, CVE-2016-7480, and CVE-2016-7478, the zero-day flaws can be exploited in a similar manner as a separate vulnerability (CVE-2015-6832) detailed in Check Point's August report. According to Yannay Livneh of Check Point's exploit research team, none of the above vulnerabilities were found exploited in the wild by hackers.